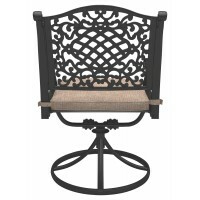 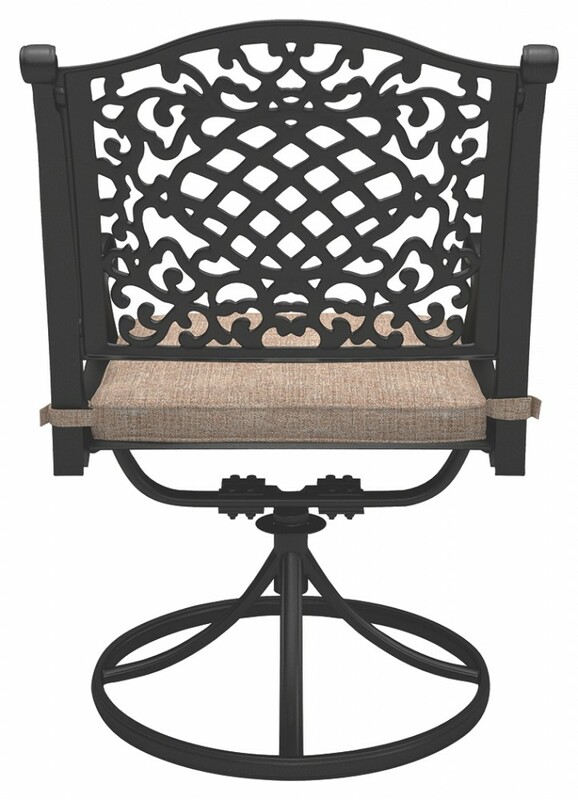 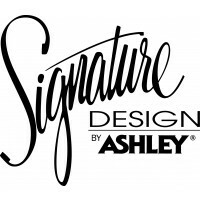 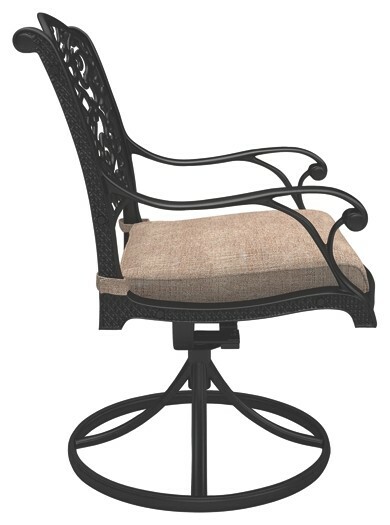 Wowing with intricate metal scrollwork, this swivel rocker dining chair brings head-turning flair to outdoor living. 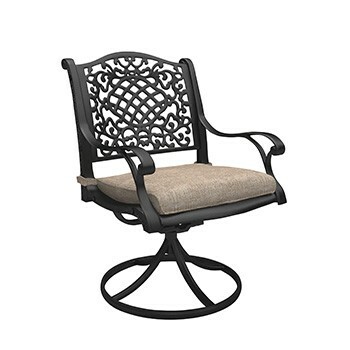 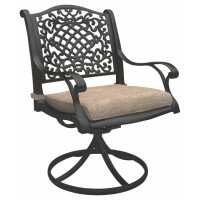 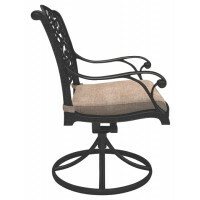 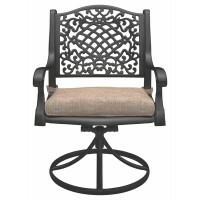 This outdoor swivel rocker’s smooth 360-degree swivel makes it easy to go with the flow of outdoor entertaining. 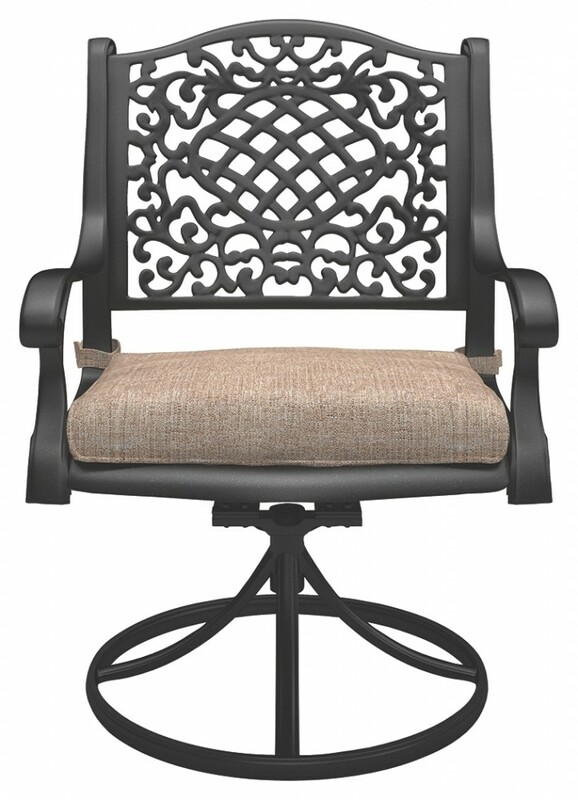 Thick seat cushion is wrapped in high-performing neutral-tone Nuvella® fabric that’s plush to the touch yet durable. 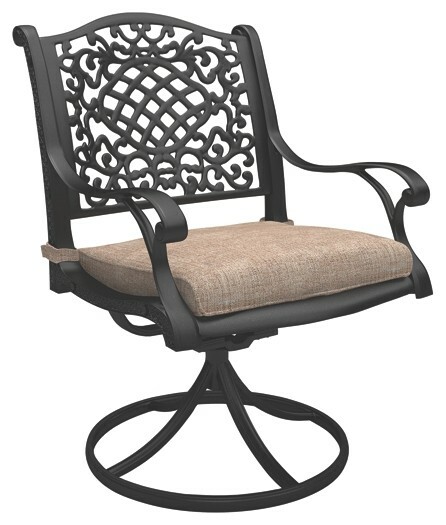 Rust-proof cast aluminum frame is made to last.